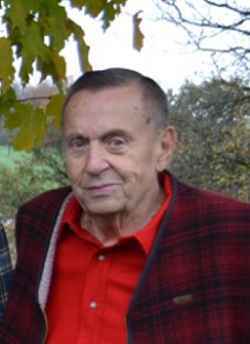 Sidney Fred Tabor, age 80, passed away on Saturday March 4, 2017, after a five -year battle with colon cancer. He was born in St. Albans, VT on February 8, 1937, the son of Leonard and Beryle (King) Tabor. He attended BFA Fairfax and received his GED while serving in the US Air Force. He was an electronic technician in the service and worked on the Missile Bases that were being built at the time. After being honorably discharged from the service he worked for General Dynamics at the Missile Bases in Vermont and New York. In 1964 he bought a farm in Fletcher, VT and for the following years farmed and then worked with several companies including Pike Industries and Harvestore silo. He ran one of the first custom corn cutting operations in the area and was known as “corn picker” by the area CB operators. He always enjoyed his spare time and loved snowmobiling with friends, hunting, fishing and even a little gold mining. He loved racing cars at Catamount and flying small planes around the area. In 1994 he moved to Bellingham, WA joining his brother in business. He loved Washington and eventually he formed his own business S.T. Modular Leasing and Brokerage, a business he was very proud of. His business took him to far places including Moscow and Prudhoe Bay Alaska. He moved his business to Hawthorne, Nevada, a place he called his home. In 2012 his illness brought him back home to Vermont to be near his family and receive treatment for his cancer. Even through his treatment and as close as a few weeks before his death he enjoyed his long rides through Franklin County especially his visits with his special friend, Tom Reed and other sugarhouses through the area. He is survived by his children, Timothy (Monika) Tabor, Natalie (Bruce) Branon, Jennifer Gratton and her fiancé Dale Collins, Matthew (Tori) Tabor, Christine (Kevin) Smith, and Peter (Kerri) Tabor as well as his grandchildren, Robbi Steller and Jen Tabor, Lindsay, RJ, and Brittany Branon, Andrew and Christopher Gratton, Madison, Hunter and Kalli Tabor, Molly Smith, Ashley, Amber and Alexandria Tabor and great-grandchildren, Tyler Comeau, Sydney Tabor and Lexi Smith. He is also survived by his former wife and friend, Kathleen Tabor with whom he remained close and who graciously provided care for him during his final days. He is also survived by many aunts, uncles and cousins. He was predeceased in death by his parents and brothers, Alton and Leonard Jr.
A special thank you to all the staff at The University of Vermont Medical Center Oncology offices with whom he had many jokes and long conversations especially Dr. Marc Greenblatt, Ashley Cohen and Roxy Maietta. Thank you also to Betty Lavoie from Franklin County Home Health who was so helpful to Sid and his family during his final weeks. Sid’s family will receive friends on Friday, March 10th, 2017, from 4:00 to 6:00 PM at the Heald Funeral Home, 87 South Main Street. At his request there will be no services. In lieu of flowers donations may be sent to Franklin County Home Health, 3 Home Health Circle, St. Albans, Vermont 05478 or Hard’ack, 154 North Main Street, St. Albans, Vermont 05478. To send Sid’s family a written expression of sympathy, please go to his on-line guest book at www.healdfuneralhome.com.